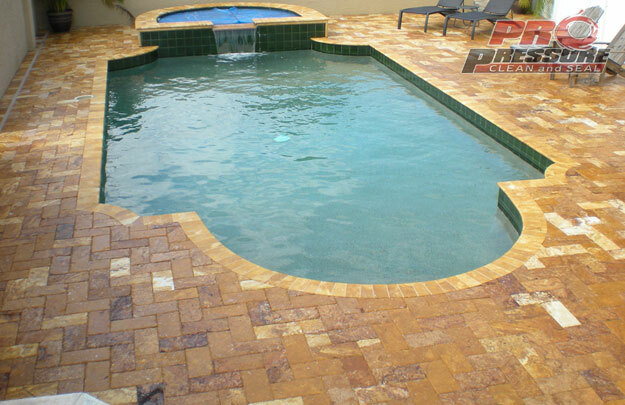 Below are just a small sample of the projects we have worked on since 2004. 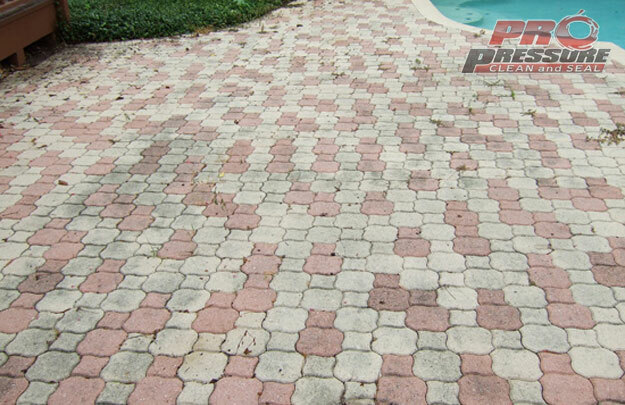 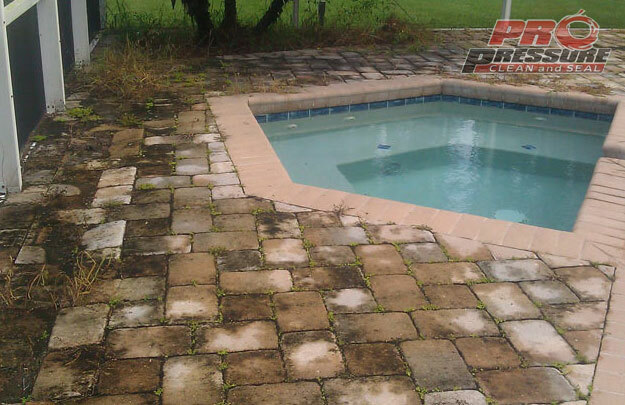 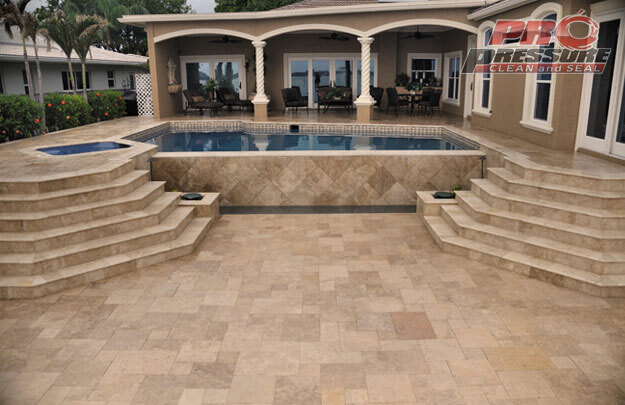 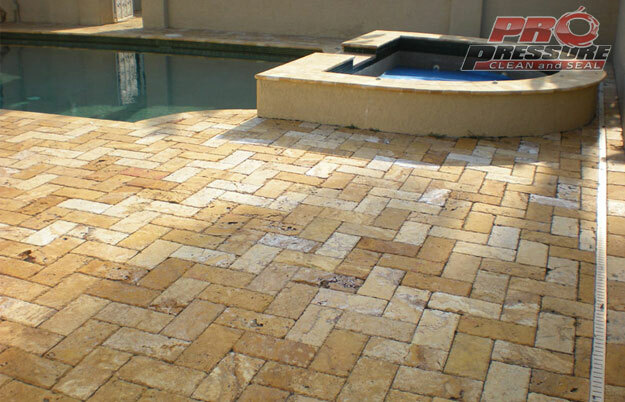 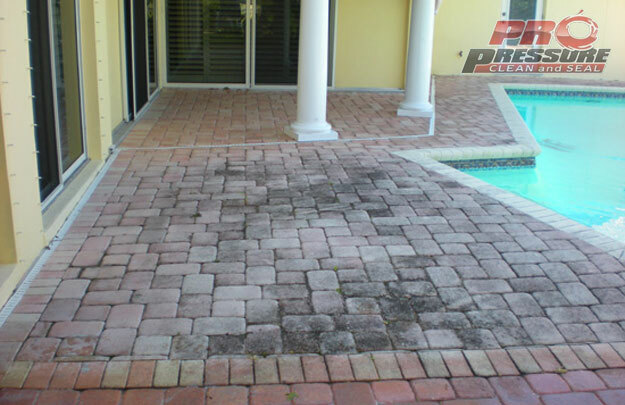 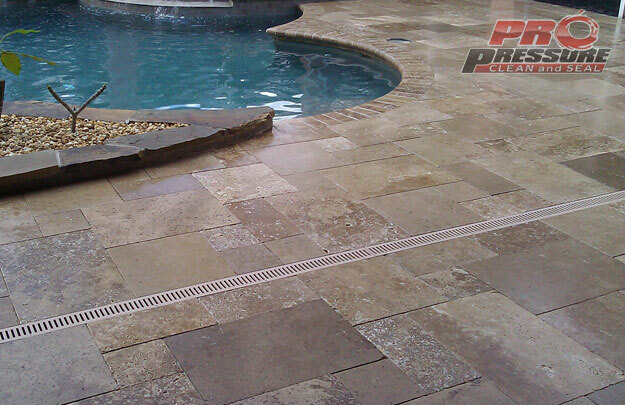 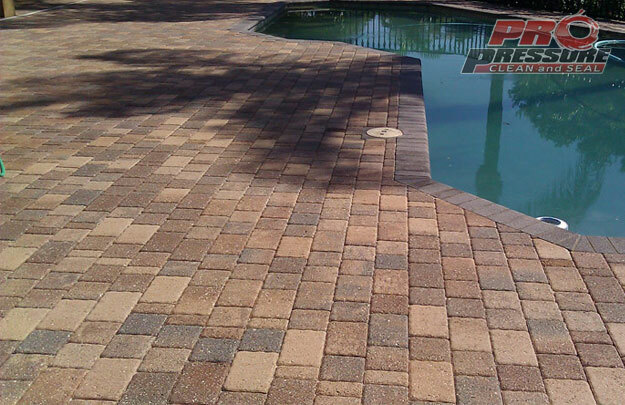 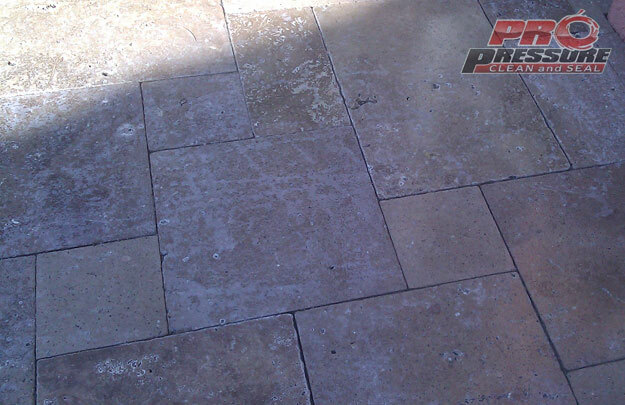 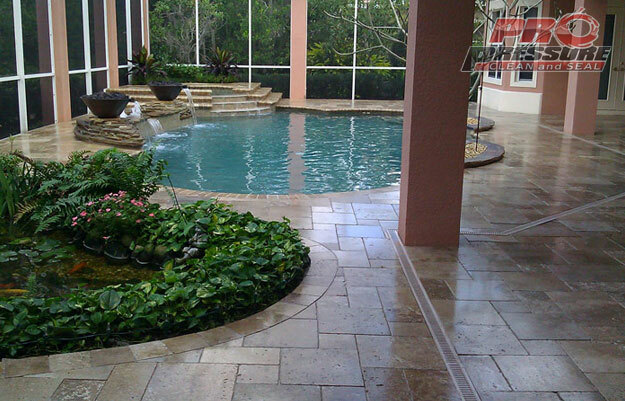 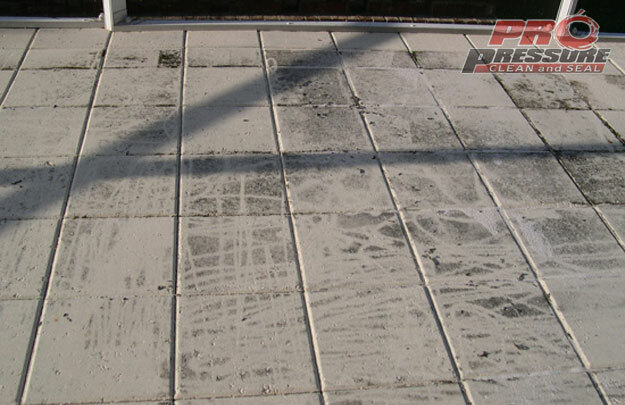 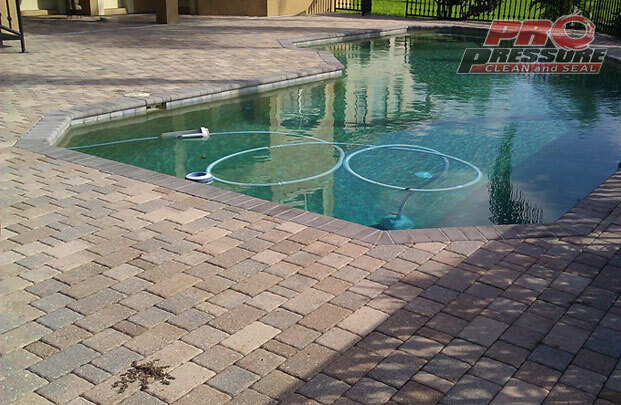 This travertine driveway and pool deck had been sealed with several different products. 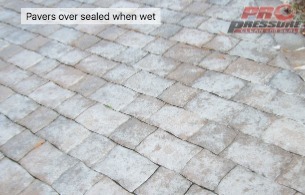 Neither brought out the colors and both layers of sealer had to be stripped off. 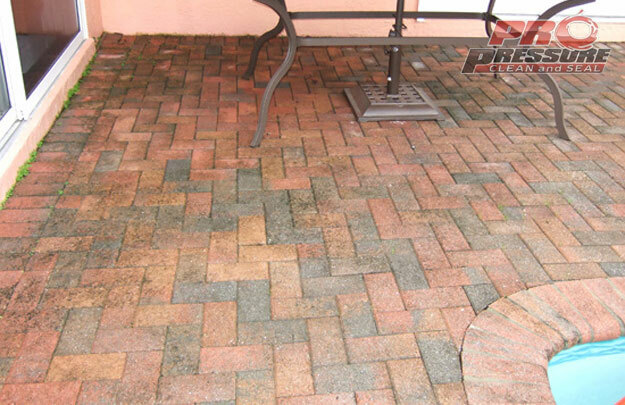 We removed it, re-sanded and sealed with Seal N Lock Super Wet sealer. 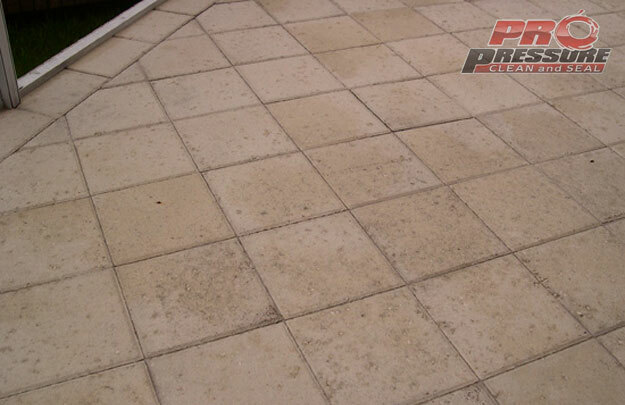 Stripped, sanded to correctly level and sealed. 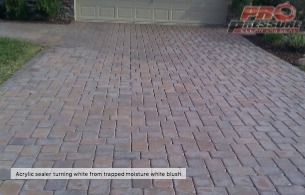 Very heavy sealer with excessive sand sealed in. 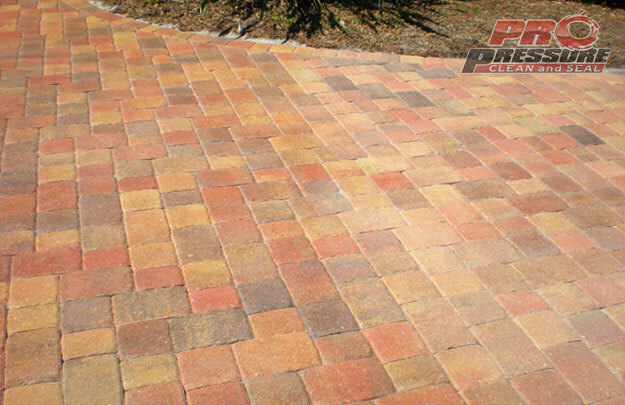 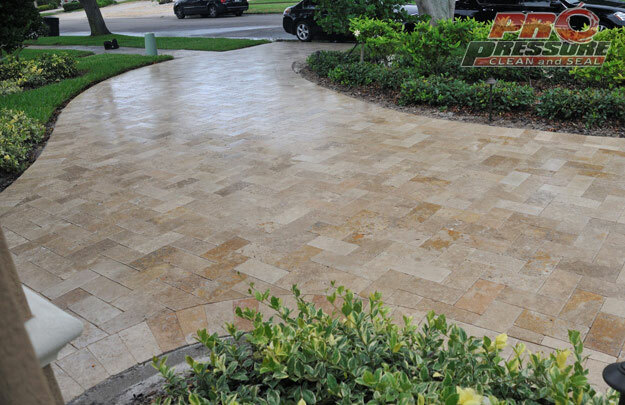 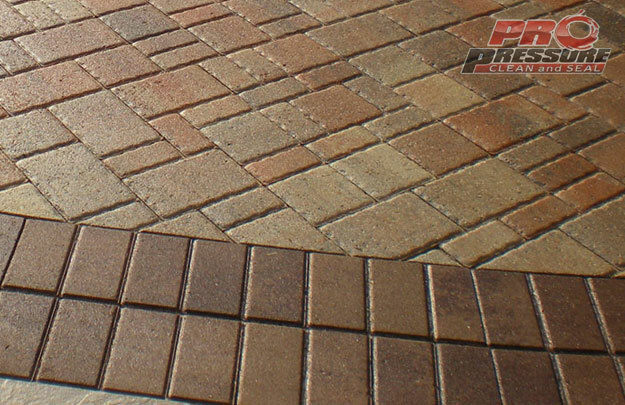 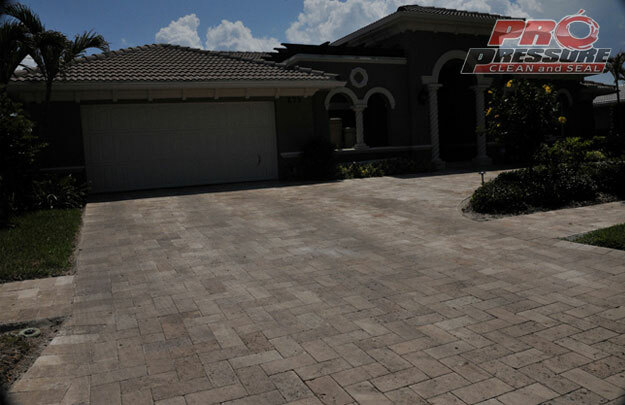 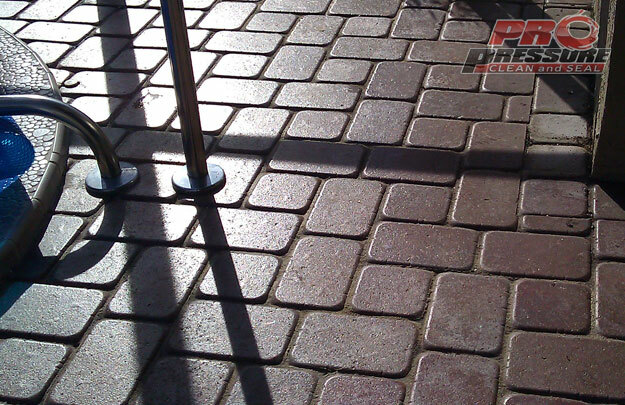 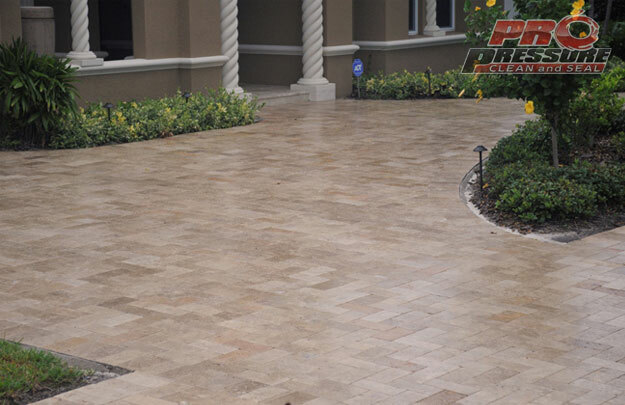 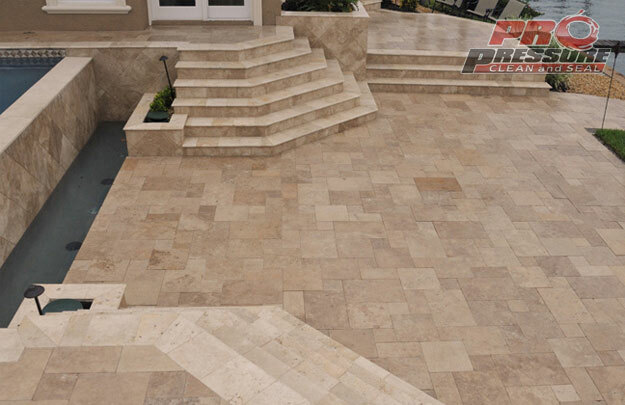 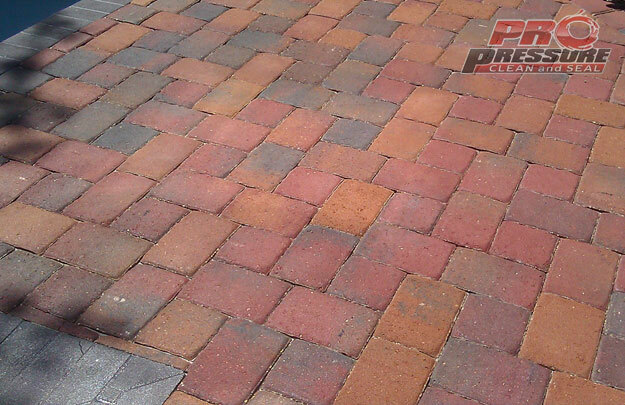 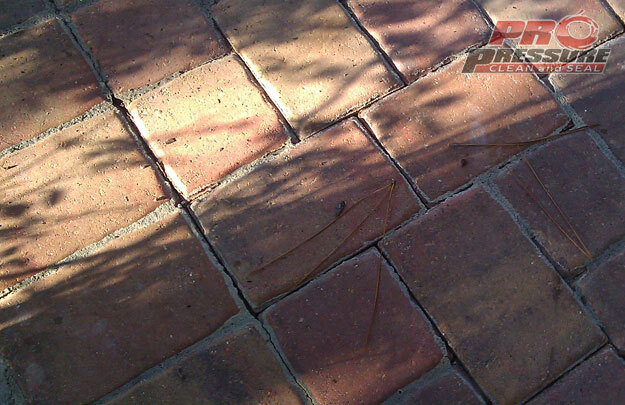 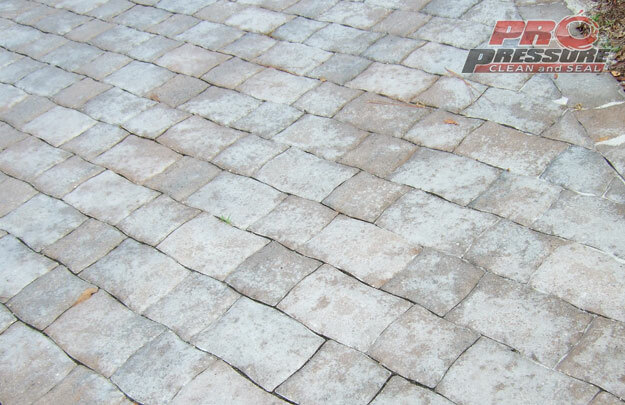 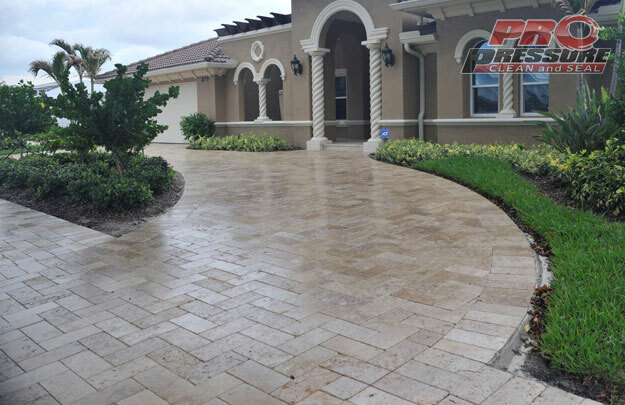 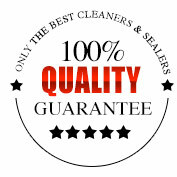 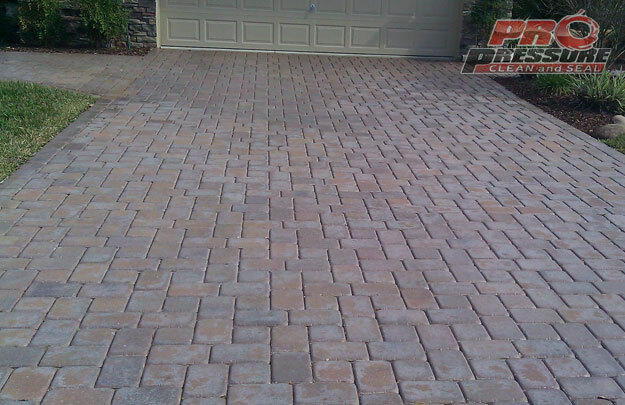 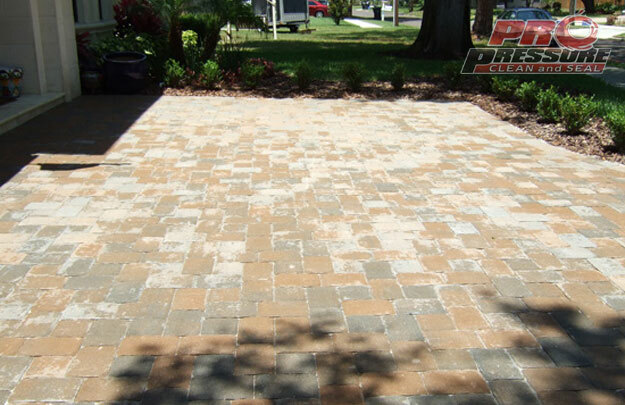 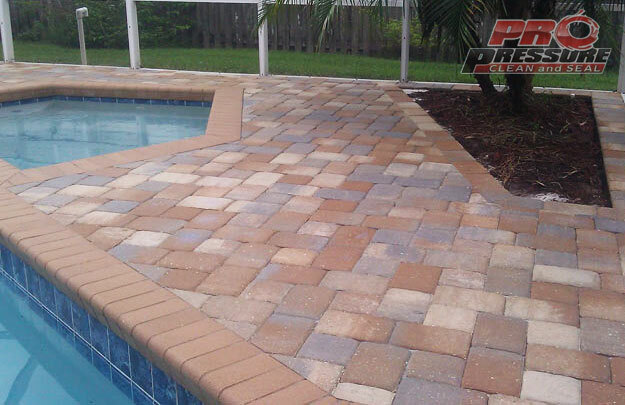 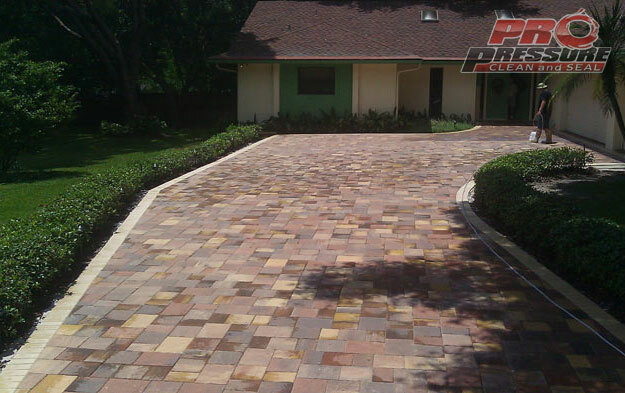 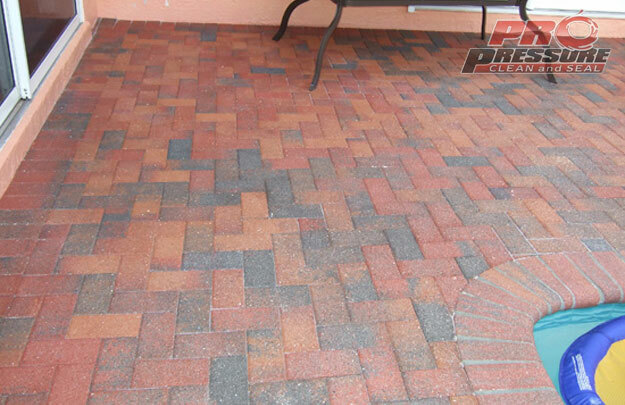 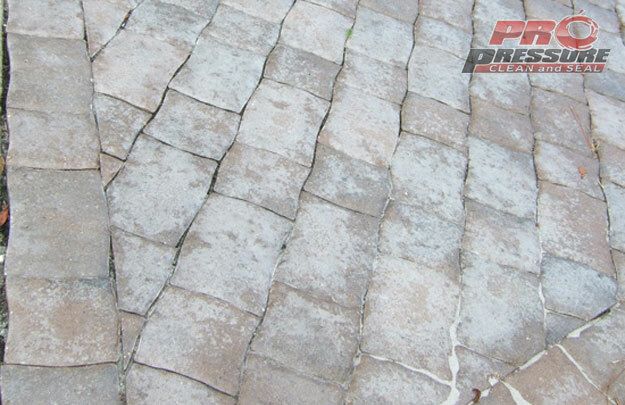 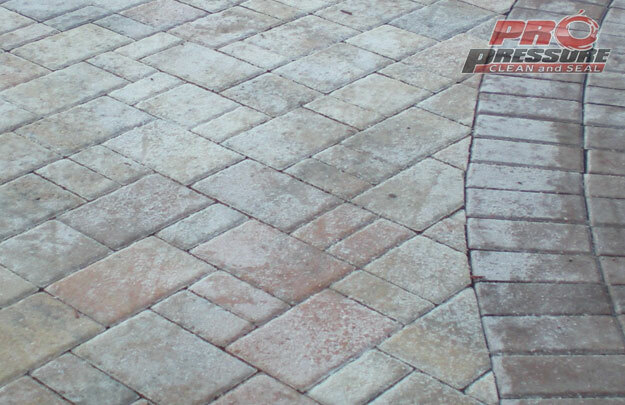 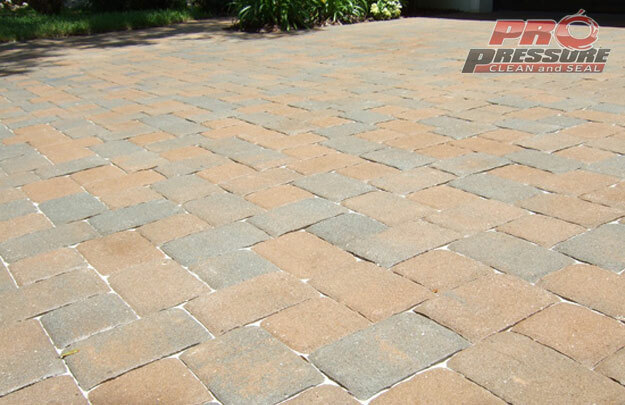 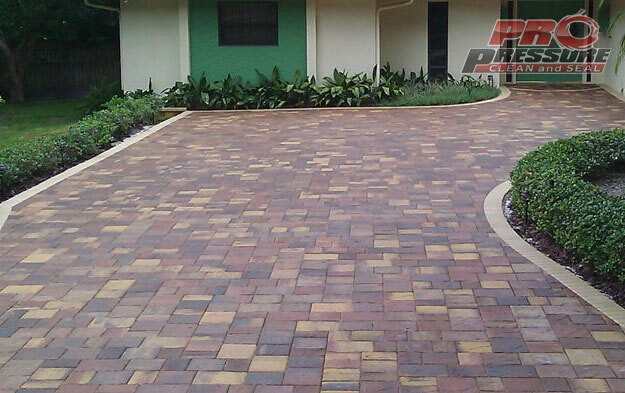 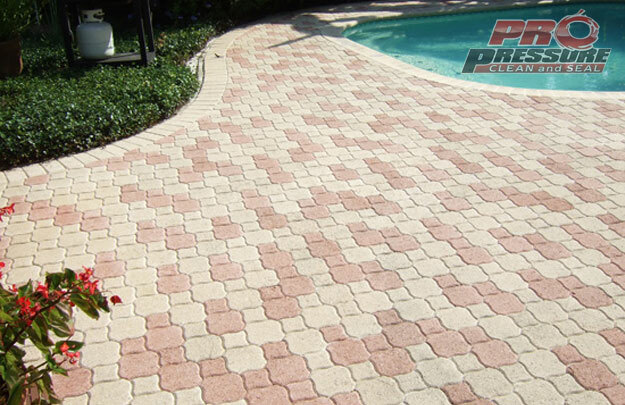 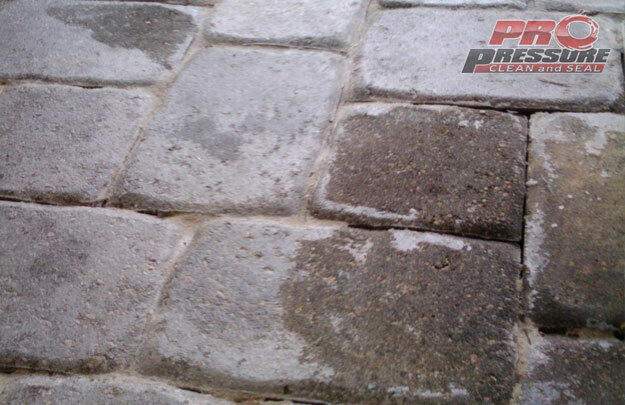 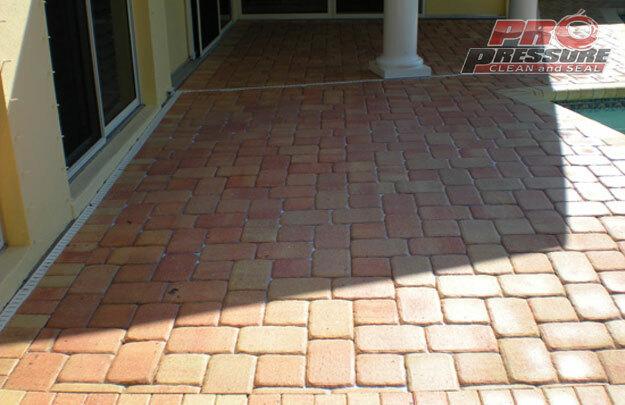 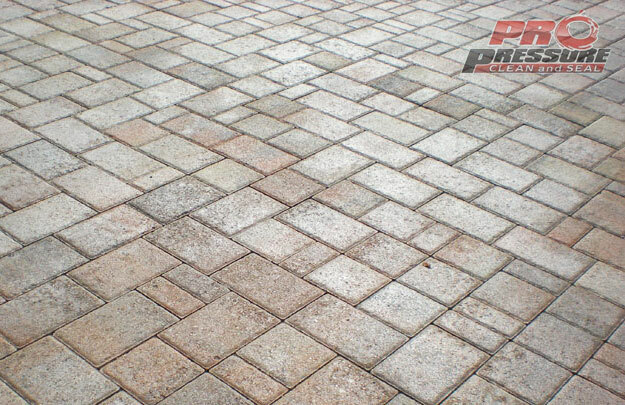 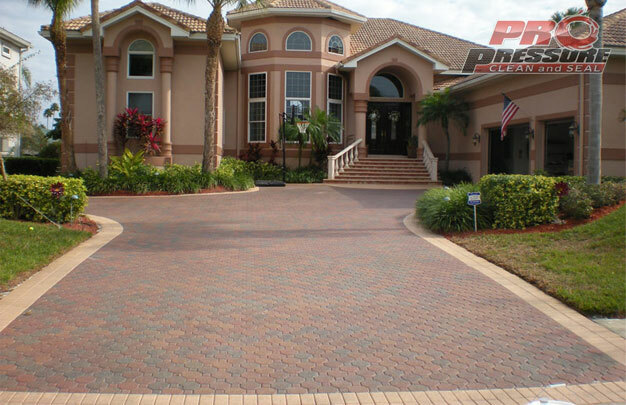 Are your pavers in need of attention?